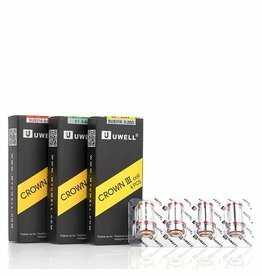 Uwell Crown 3 coils compatible with only Uwell Crown 3 tank, a perfect tank for flavour and cloud chasing. 0.25 Ohm SUS316 - 80-90 watts. 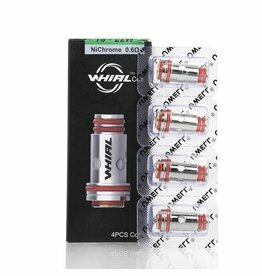 0.4 Ohm Kanthal - 55- 65 watts. 0.5 Ohm SUS316 - 70-80 watts. 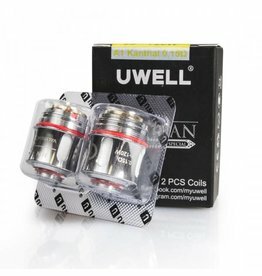 Uwell Valyrian Coils 0.15 ohms compatible with only Uwell Valayrian tank. Sold as a pack of 2. Discount applied when 20 packs bought. 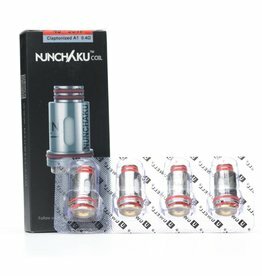 Uwell Nunchaku Replacement Coils 0.25 ohm and 0.5 ohm compatible with Uwell Nunchaku Kit and Nunchaku Tank. Sold as a pack of 4. Discount applied when 20 packs are bought.